Covina, CA.--Police say a man dressed as Santa Claus opened fire with a handgun at a Christmas Eve party. Three people were killed and two others including an 8 year-old girl were wounded by gunfire. When police responded to the scene they found the home on fire. Firemen could not immediately respond because of reported gunfire. The bodies were found once the fire was extinguished. Police believe that the attack came as a result of an ongoing domestic dispute. 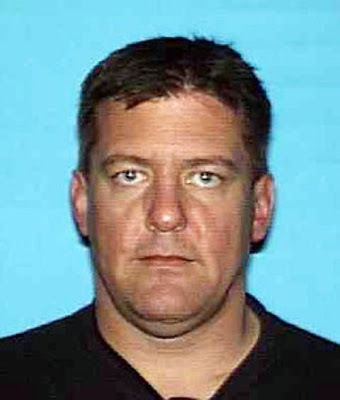 They are seeking a man they are calling a person of interest, 45-year-old Bruce Jeffrey Pardo. Police say Pardo is the estranged husband of a person who may have been at the party. Update: 9:10 AM Covina police now say their person of interest Bruce Pardo has killed himself. Pardo's body was later found at the home of his brother near Slymar, CA. Second update: Police are now saying "several more bodies" have been found in the burned out crime scene. I will update this with full details when available. Third Update: The body count is at nine. 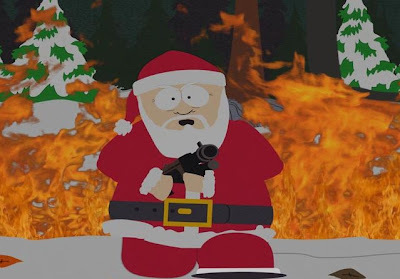 Our Santa used a pressurized flame thrower on the victims. Read more here at KTLA. Is this an Orange County divorce litigant stripped of his property and denied access to his children?